Railpictures.ca - Michael Berry Photo: CN 271 with 101 autoracks and CN 8907 & CSXT 8138 for power negotiates the s-curve at Dorval in the snow. | Railpictures.ca – Canadian Railway Photography – photographie ferroviaire Canadienne. 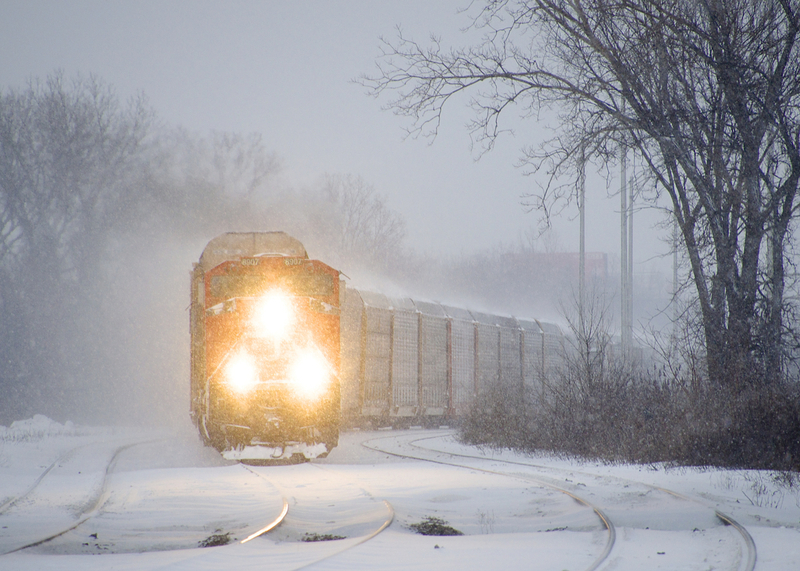 Caption: CN 271 with 101 autoracks and CN 8907 & CSXT 8138 for power negotiates the s-curve at Dorval in the snow.